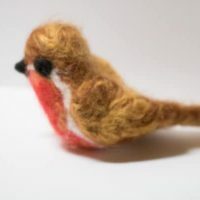 Needle felting is such an easier hobby to pick up and without much equipment, you can get started. 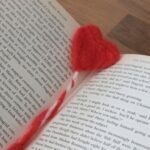 Working in 2D is easiest to start with and we have shared how to create a Felted Heart Bookmark which is an ideal beginning needle felting project as all of the work is done within the cookie cutter. 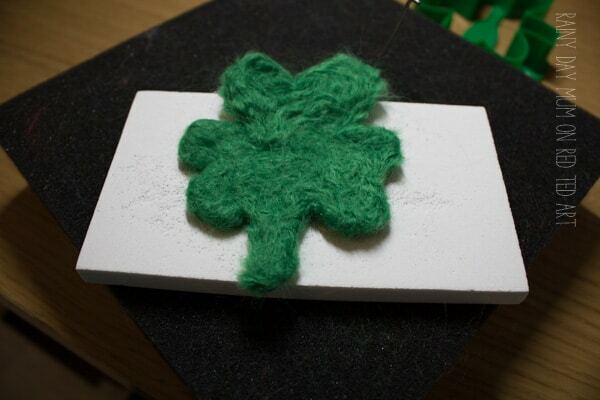 In today’s tutorial we are taking the next step to create a needle felted shamrock for St Patrick’s Day and makes a fantastic decoration or you could use it as a coaster once finished. 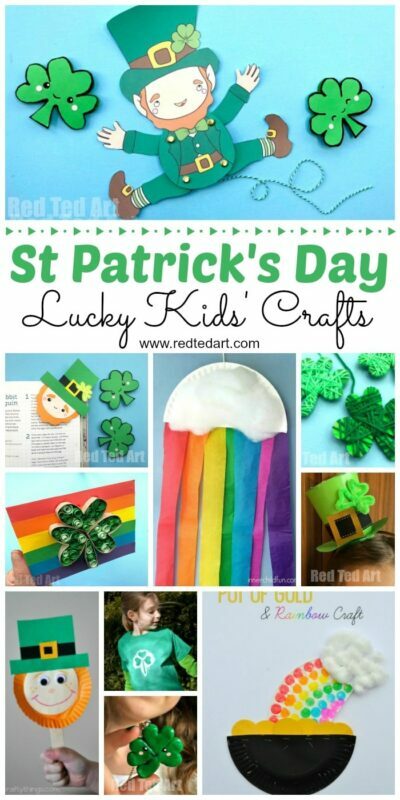 Start by filling your shamrock cookie cutter with wool roving. 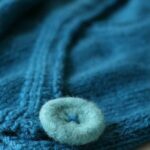 Closely pack the wool roving and then start stabbing. 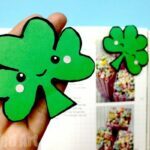 This initial cookie cutter work is to get your basic shape, unlike with the needled felted hearts most of the work on the shamrock takes place outside of the cookie cutter. 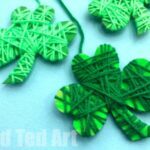 With your shamrock take one of the leaves and start to stab with your needle along the outside edge. Take care of your fingers as you go. When you have the depression between the sections of leaf concentrate your felting stabbing closer together and more frequently. 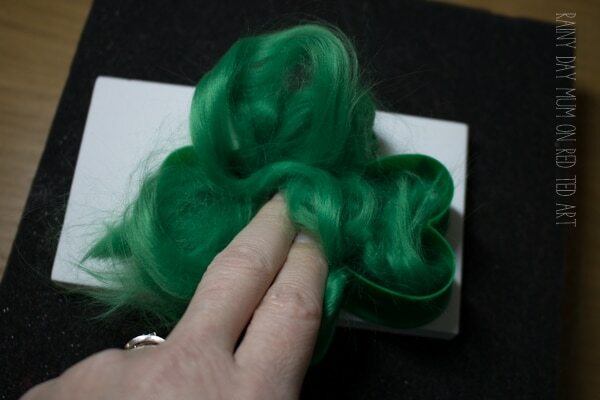 Move to working the felt on the inside of the leaf section you are working on. 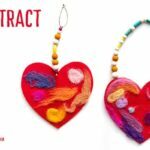 As you work the needle should feel different as the felt forms. It feels harder to push in and pull out as well as grinds or catches on the fibers. 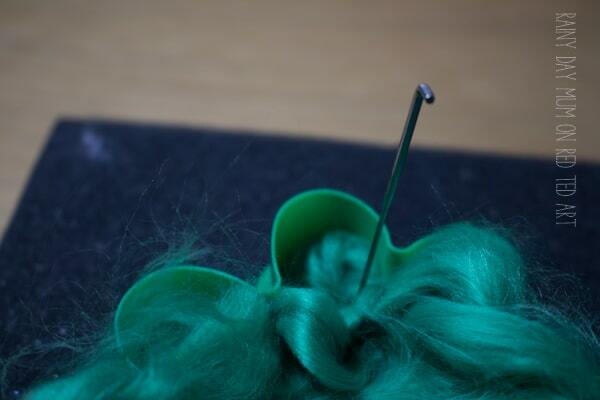 The felt also feels harder as it forms. 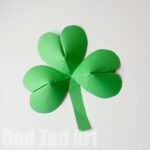 Now one leaf is completed move and repeat the process from step 5 to 7 on the other two leaves and the stem. 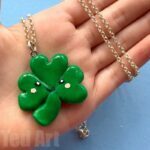 Don’t forget the centre of the shamrock either. 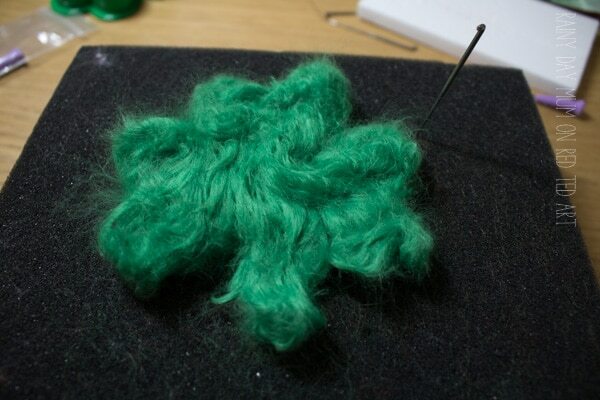 Use a needle felting mat to protect your work surface. 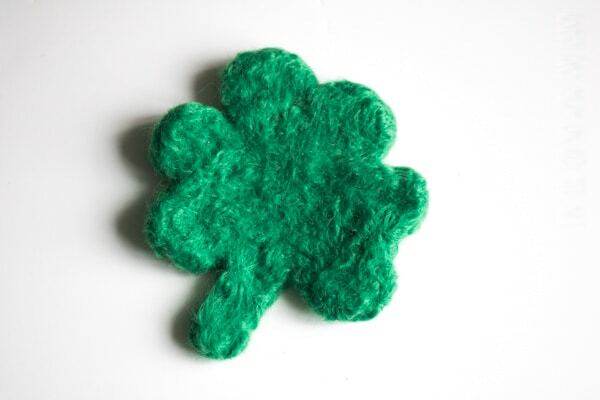 Buy wool roving rather than synthetic fibers it costs a little more but is easier to felt. Until you have the hang of felting do it slowly otherwise you will end up with stab wounds all over your fingertips. 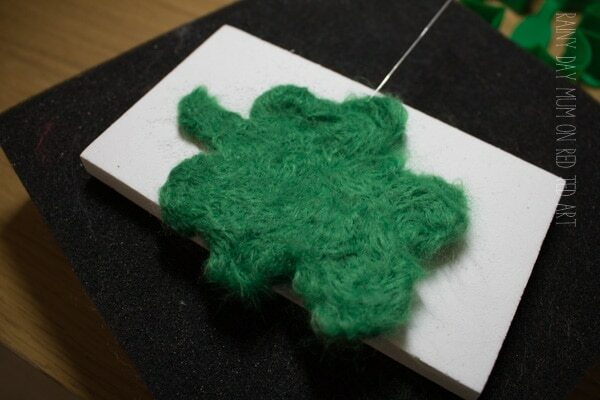 Rotate your project frequently to get all angles and felt in different directions this will help the felt form as well. 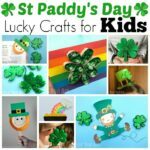 Always have more needles than you think you will need. They can break surprisingly easily and it’s annoying to wait till some more arrive before finishing a project. 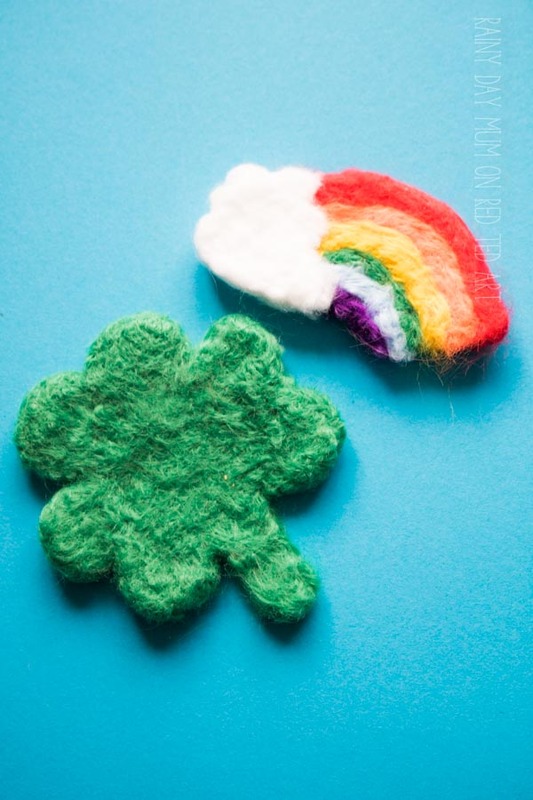 You can find the Beginner Needle Felted Rainbow Project over on Cerys’ site Rainy Day Mum Now. 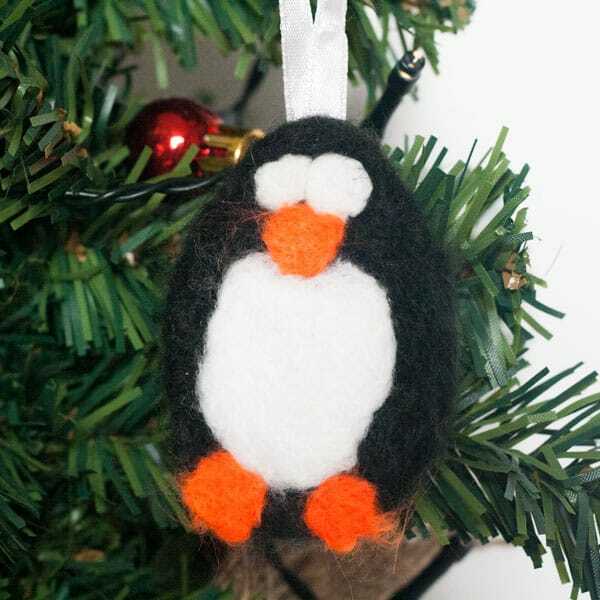 Create a simple Felted Penguin Ornament for the Christmas Tree – this is a fun easy project that kids or you can make. 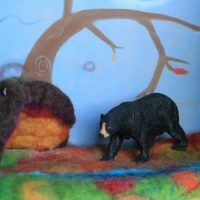 Use wool roving and instead of needle felting experiment with wet felting a simple project like this hibernation play mat is perfect for kids to make.